If a home improvement project is in your future, count on Bargain Outlet for a wide selection of all the items you need. Bargain Outlet is a home improvement store with 35 locations in Connecticut, Ohio, New York, and Pennsylvania. Specializing in doors and windows, bathroom vanities, and more, Bargain Outlet guarantees to have the lowest price on everything you need for your project. The experts at Bargain Outlet explain why many homeowners consider buying a second home as an investment. Buying a second home may sound like an endeavor that only financially well-off investors consider, but that is not always the case. Sometimes homeowners consider buying a second home to fix up and to rent out. If you choose to purchase a second house, you must budget for repairs and maintenance of two homes. 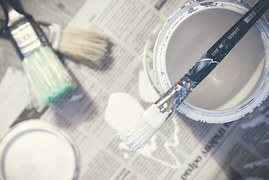 It can be difficult to know how much money to set aside every year for home maintenance and repairs, but one common rule is one percent of the total purchase price of the house should be earmarked for maintenance. Another important consideration when buying a second house is determining how much you should charge to rent it. Usually, landlords charge between 0.8 and 1.1 percent of a house’s value in rent per month. This percentage can be less for more expensive houses to make the rent more affordable to prospective renters. Bargain Outlet is your one stop shop for discount home improvement products, from doors and windows to countertops and crown molding. With a huge selection of goods at the lowest prices around, you’re sure to find what you need. Visit the Bargain Outlet website to find the store nearest you, or give them a call at (860) 282-0262.